There is extensive research to show that carrying out regular physical exercise helps the brain to function more effectively, sharpening the memory, preventing deterioration, and improving cognition and motor skills. This is due to the increase of oxygen that reaches the brain, allowing the neurons to fire more quickly and make better associative connections. In short, exercise can make you cleverer. With this in mind, you can tailor your workouts to include certain moves which are tailored toward helping the brain improve its capacity for learning. Here are a few of those moves. 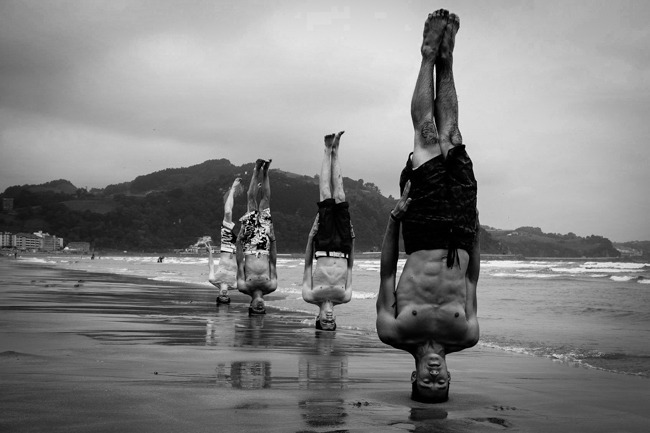 A headstand takes a lot of concentration and strength, but it is great for helping the brain. Inversions, or exercises which turn the body upside down, allow everything to flow backward, which detoxifies the body. Equally, it helps to reduce anxiety considerably by lowering cortisol levels, which is also known as the stress hormone. Cortisol stops the brain from functioning as well. When doing a headstand, you need to place your forearms on the ground, shoulder-width apart. Bring your hands together into a cradle. Put the crown of your head on the floor just below your hands. Bring your legs closer to your head and lift one leg off the ground at a time. Gently stretch your legs upwards. Make sure you have a spotter. This is a yoga pose which helps to stretch the neck and spine. Opening up the neck and spine releases pressure on the head which can cause the brain to feel cloudy. Start by laying flat on the ground. Lift your legs up and rock backward. Your legs need to come up over your head to try and touch the floor behind your head. Bring your hands where your back was and clasp them together for counterbalance. Cardiovascular activities such as squat jumps help to get a straight shot of oxygen to the brain. By getting the heart pumping, it pumps blood more quickly around the body. Start standing with your feet hip-width apart. Reach up to the sky and jump. When you land, land in a squat position. Make sure your knees are not over your toes. Jump again, and land in a squat position. 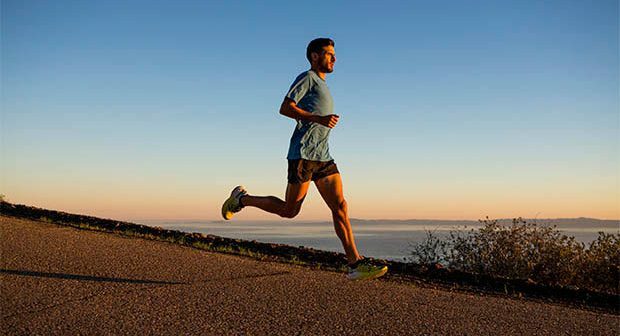 In general, running is great for the mind and body. The physical exertion of running gets your heart rate up, helping to get oxygen to the brain. However, you will find that when you run for long distances, your mind tends to go blank as the physical exertion becomes the only ‘emotion’ you body can feel. This helps as a meditative tool for the mind to help relax it. Stand with your legs wide and place your forearms on the floor. Your head should hang between your biceps. This helps with anxiety again as you are upside down. However, it also opens up the shoulder,s which stretches the back and helps get air into the lungs and then to the brain. An aerobics classic, jumping jacks help to open the chest while getting the heart pumping. This helps to get oxygen into and around the body, while chest opening exercises tend to help reduce depression. If you really want to improve your brain power, exercising is a great way to get oxygen into the system for the brain cells to work together more effectively. You can always complement your exercise regime with a supplement like Brain Gain which helps to improve cognitive functioning. With a healthy diet and exercise, a supplement will be a triple whammy in making you cleverer.